This whimsical runner takes athleisure to a new level with sporty straps and a thick running-shoe outsole. Designed by industry experts for ultra-marathoners, this chunky sole is crafted for performance, but we've reimagined it through a more playful, street-style lens. 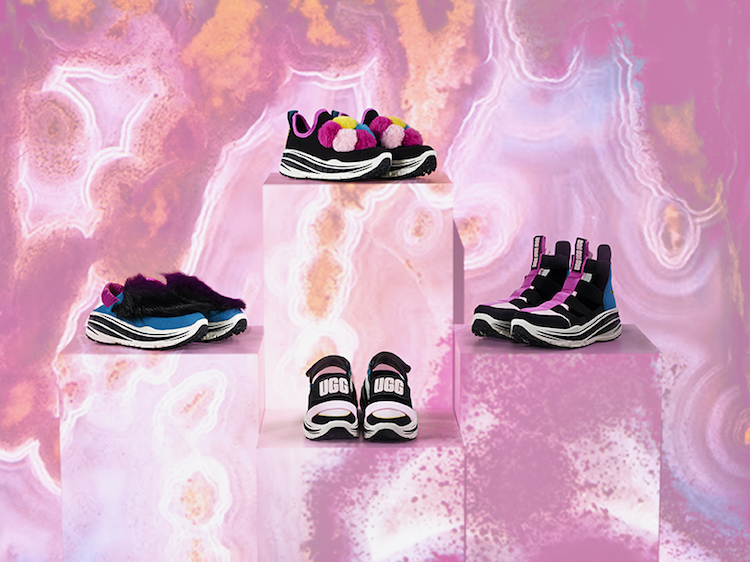 Discotech introduces a new kind of athleisure by pairing gladiator straps, multicolored pom poms, and vibrant fluff with a thick running-shoe outsole designed for ultra-marathoners.